For over 20 years the Academy has been supporting and changing music education in the UK and throughout the world through its work with schoolchildren, students, and young people. We achieve this through a range of programmes that promote ensemble and creative opportunities for primary, secondary and sixth form students, designed to forge and strengthen the future of orchestral playing. Create, Cultivate, Orchestrate! is the Academy’s flagship project catering for young musicians aged 9-18 years. 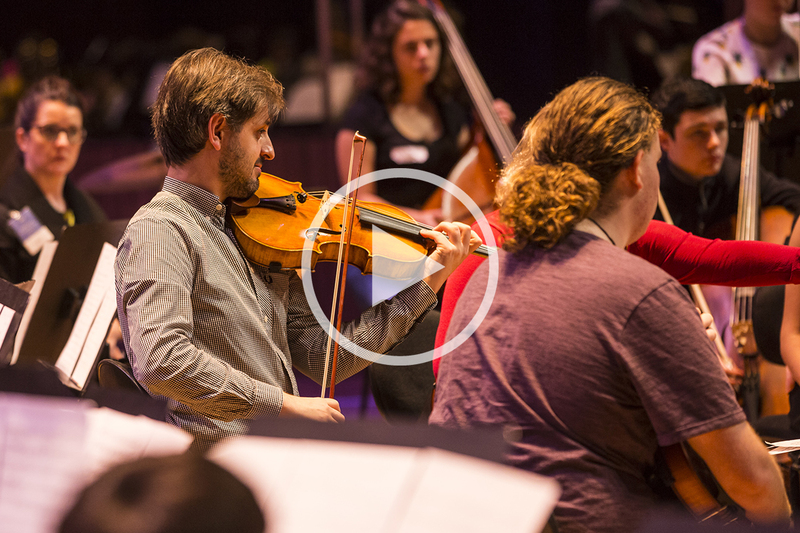 Over three days, young musicians improvise, rehearse, direct, compose and collaborate with Academy mentors, culminating in a performance of classical works reimagined by the participants. Create, Cultivate, Orchestrate! forms a fundamental part of our partnerships with Islington and Newham Music Hubs. For four years we have produced astonishing performances at Canary Wharf, Kings Place and Platform, for young musicians’ orchestras. 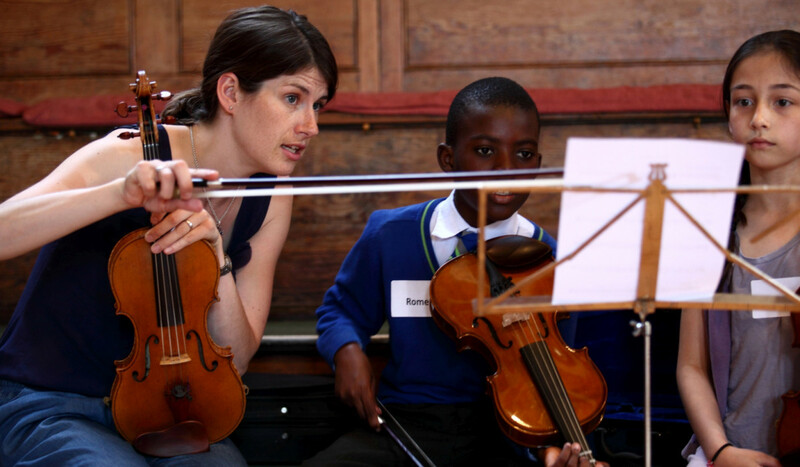 We work with schools to provide composition and orchestral workshops, where children taking their first steps to learning an instrument can collaborate and express their musical ideas with the help of professionals. As their talent grows we invite young musicians to form orchestras with our players to discover the performance skills and artistic vision it takes to create an original and dynamic performance. In 2014 the Academy launched a residency with St Joseph’s Catholic Primary School, Islington. The orchestra visits every term, providing performances and ensemble workshops for children aged 5-11 years, providing the students and staff with a long-term commitment to musical opportunity and access to excellence. Last year students attended an open rehearsal of The Snowman, formed an orchestra in a day, and created an original performance with the school ensemble in the summer. We regularly welcome school and university groups to open rehearsals, enabling them to experience what it takes to create an Academy performance and the chance to meet some of the players from the orchestra. If you would like to organise an educational group visit to a rehearsal, please contact outwardsound@asmf.org to register your interest. The Academy is committed to the safeguarding of children involved in all of our learning and participation projects. Click here to read our full child safeguarding policy. The Academy supports the ISM’s Bacc for the Future campaign as we believe creative subjects to be integral to the education of every young person, and want to ensure that opportunities to learn, perform and enjoy music are provided for all as part of their school experience.